Updated Content. 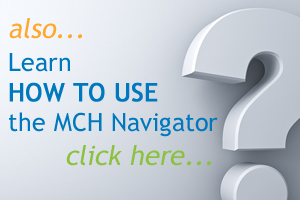 This tool now tracks your knowledge and skills across the 2018 MCH Leadership competencies that were developed to better reflect the ways we learn and work. You can continue to track your learning over time, as results of this update are comparable with those from the previous tool. You can always access your previous results through the tool itself and compare to your current, personalized learning plan. You’ll be guided through a streamlined process and a reduced number of questions, while still reflecting on all 140 sub-competencies and their importance to your work. You’ll receive a more focused learning plan, both in length and in number of learning opportunities provided. 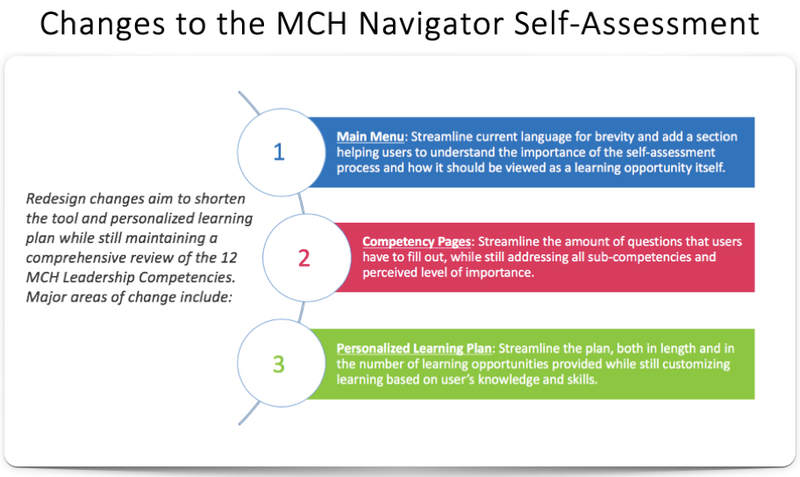 You can continue to use the tool across all 12 competencies at once (the entire tool requires approximately 1 hour) or by individual competency (each competency takes approximately 5 minutes). With the new tool, you’ll also learn about the importance of the self-assessment process and how the tool can be used as an interactive learning opportunity itself. See a diagram explaining the entire process and changes in detail.